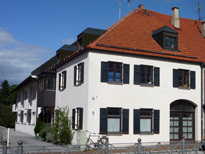 COFAD was founded in 1983 as an independent consulting firm and is based in Weilheim, Germany (south of Munich). Since 2009, we are part of the GOPA Consulting Group, with GOPA Consultants of Bad Homburg holding 80% of COFAD's shares. COFAD provides services in the broader context of fisheries, aquaculture, natural resources management, nature conservation and development co-operation. Our expertise and professional experience enable us to apply a multidisciplinary and cross-sectoral approach to our work. We place particular emphasis on participatory, people-oriented planning and implementation, using proved and efficient methodologies, to encourage ownership and foster sustainable impacts of the projects and programmes for which we work. COFAD adheres to the relevant national and international standards for consulting services. The company has introduced a quality management system and is certified in accordance with ISO 9001:2008 standards.